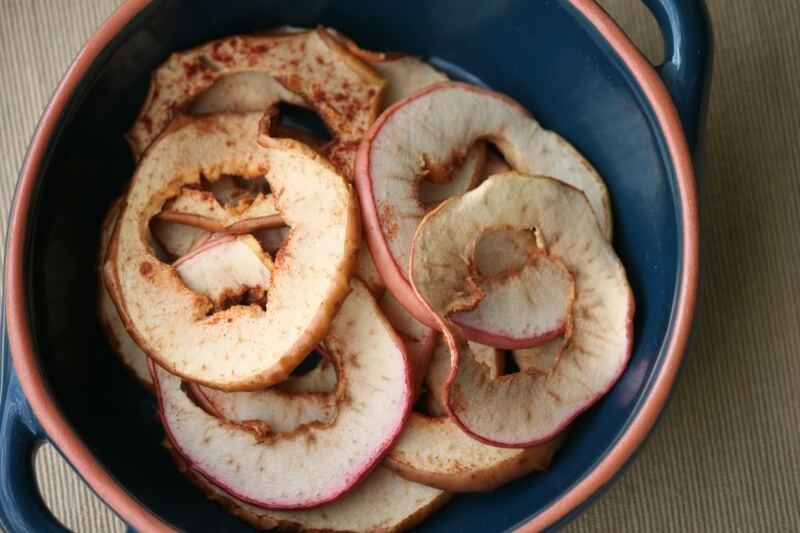 apples + cinnamon + oven @ 200 degrees = homemade apple chips. Remove apple core. I most likely did this wrong since half of the apple was missing when I removed it but you get the idea. Thinly slice the entire apple. 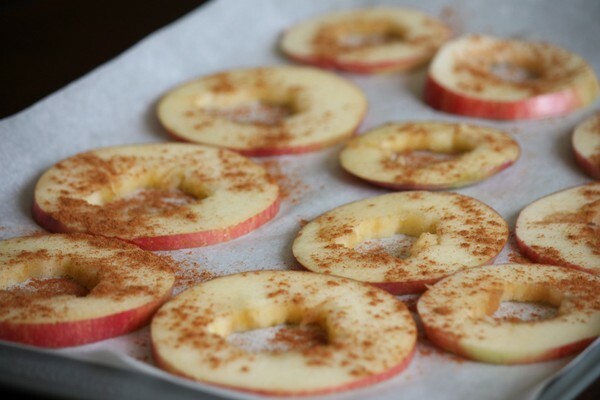 Line a cookie sheet with parchment paper and place apple slices on it. Bake at 275 degrees for two hours. At the end of hour one flip them over so they bake evenly.